Lot Size: 23,292 sq. 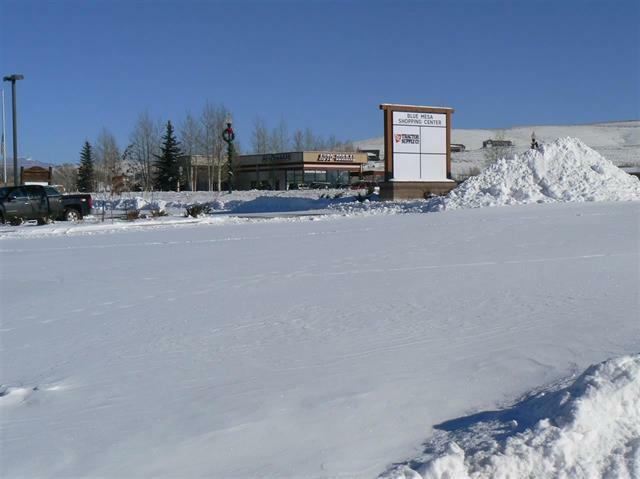 ft.
Great visibility in Gunnison's new Blue Mesa Shopping Center! Fronts N. Main/Hwy 135 with 8,700 cars per day traffic count. Site planned for 4,050 SF building with drive thru. Ideal for fast food business. Other businesses in Center include Tractor Supply Company and O'Reilly Auto Parts. 23,292 SF lot, 11% of CAM fees.